The Ranger motto is Rangers Lead the Way. Leadership is the core of every skill developed as a Ranger. But, leadership is not a position but rather an example set by every Ranger. Whether approaching the beaches of Normandy or the mountain ranges of Afghanistan, the world is made better when leadership is owned by each member of the team. Keni Thomas’ stories of Task Force Ranger are extraordinary examples of leadership. And, the stories are not about Generals, Colonels or Captains. For example, Private David Floyd was in charge of one person that day - himself. But his leadership and example saved lives. In the pace of life, it is easy to lose perspective on our value to others. Make no mistake: Your presence is crucial! The individuals to the left and right are directly affected by the result of your actions. Each team is a puzzle with invaluable pieces. When you raise your hand or assume a task, you have put on the “uniform”. Duty follows that responsibility. Good is never enough because better is expected. 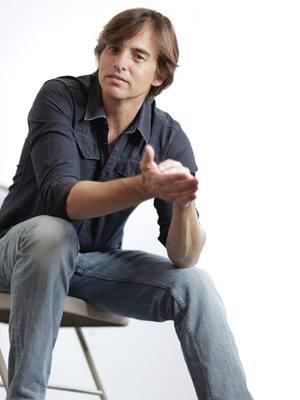 Keni Thomas helps attendees see themselves in the light of extraordinary. It is a choice made by many each day to impact those around them. Training and planning will prepare the team for the mission. But, the mission’s execution is about leadership - every person at every level. General Garrison oversaw the entire package while Private David Floyd was responsible for himself, but each carried responsibility. Training and testing are vital. Tough, realistic training demands that every team member constantly seeks to improve. Preparation will define your performance. Note: Keni Thomas ends his presentation with a song accompanied by his guitar. Special Op training is based on this principle: You are only as good as your preparation. When the entire team embraces this philosophy, the standard is high, and the hard work is done in advance of the moment. While perfection is not attainable, it is always the goal! Tough, realistic training scenarios provide confidence in your training. The day the team is called to “Get it On”, the unit is prepared and ready. The Boy Scouts are right - Be Prepared! For those in assigned leadership, confidence in your team’s execution and abilities is built through training. General Patton once stated, “The single most important characteristic in a great soldier is self-confidence.” Self-confidence is based upon trust, and trust must be gained by situational proof. Keni Thomas’ stories of Task Force Ranger are extraordinary examples of leadership and training. 19 Americans died and 78 were wounded in one of the worst urban combat situation since WWII. Without training and leadership, many more American lives would be lost. Tough, realistic training is a must. Every team member must constantly seek improvement. It is an individual and team responsibility to develop the skills needed for duty. Great planning is the cure for complacency. Situational planning and awareness are a hallmark of the Rangers. Training and Planning are paramount to success, but execution comes from leadership. But, leadership is in the hands of EACH team member. In combat, you rarely have the luxury of time. Nor do you all bits of information needed to make your plan and direct a course of action. We give you the knowledge to lead your way through extraordinary situations, utilizing a tried and true battlefield decision-making process. Our full course can be broken down into small yet effective blocks of instruction or breakout sessions where practical exercises and scenario creations help expand your leadership skills and decision-making abilities. Now you are in charge. What does that mean? What is the difference between Leadership and Management? Why is it important? What is a good Leadership model to follow... and more. -Leadership Practices, Gaining Trust and instilling confidence. It’s hard to lead a cavalry charge if you think you look funny on a horse. In order for people to believe and trust in you as a leader, they have to have confidence in YOU. Great leaders understand that instilling confidence is how you build TRUST. Leadership Practices will give you tangible skills that you and your team will need to earn trust and instill confidence in others. When you are confident, they are confident and the team becomes stronger. In this session, we will introduce you to the Decision Making Process, and most importantly, Problem Analysis, the first step in the Decision Making Process. We will talk about Deliberate planning versus Hasty Planning and how they are different. We will give you the tools to conduct Hasty Planning in your environment. Based on time, we will break into groups of 4-5 and conduct a practical exercise using the tools we discussed in the Decision Making Process. Together we plan a mission and react accordingly as the situation changes. Some groups will brief their products at the end of the class. There is a substantial difference between leadership and management. Leadership has never been a position. It is the example you set. How you choose to set that example directly affects the people on your left and on your right. You may think that lives are not on the line in your chosen profession. If so, you are undervaluing yourself and the impact you have on those around you. We would remind you that Lives are always on the line! People are always affected by what you choose to do or not to do. And when the hard times hit, which they always will, people will look to you for purpose, direction and motivation. How will you know what to do if you have not been taught and not done the hard work in advance? What will your leadership style say about you? Learn to lead and lead well. Our team of instructors have over 3 decades of combat experience in the upper echelons of military special operations to include Delta Special Forces commanders, black ops helicopter pilots, and elite Army rangers. Through their shared battlefield experience, we have developed a highly effective program to safely provide the necessary hardship and mentorship to challenge your team to become successful leaders in all aspects of their job and life. We take the principles of military special operations and translate them into the corporate environment making each step easy to understand and apply to your day to day calling. Whatever the task assigned, you and your team will now have an uncommon understanding of how to effectively lead people in the most stressful of situations. While understanding the concepts of leading under fire may be easy, the work and effort required to successfully complete our course is not. Our goal is to remove comfort zones - personality and leadership style are your only remaining tools. Through shared hardship and overcoming obstacles together, confidence is built. As confidence grows, the team becomes stronger. Great leaders understand this. General Patton said the single most important characteristic in a great soldier is self-confidence. Instilling that confidence is about building trust at many different levels. And trust is something that must be gained. It cannot be issued. This one day course is all about the how-to’s of leading by example and developing your leadership style. Whatever your chosen profession or calling, you are being counted on. There is always someone to your left and your right and they are watching. How will you get them to accomplish what you need accomplished? If you are a person in a position to influence others, and especially if you are in charge of people, this seminar is for you. This is an opportunity to explore different techniques and evaluate your personal leadership practices. Led by retired Army Lieutenant Colonel Tom Di Tomasso, you will benefit from first hand accounts of lessons learned about leading people under fire and in high-stress environments. Tom draws from his extensive experience as a special operations leader to include the intense fighting in the the streets of Mogadishu, (Black Hawk Down) and the war on terrorism where he planned and conducted hi-risk raids into the heart of enemy strong holds in the most remote corners of Iraq and Afghanistan. -Leadership 101: What it Means to Lead the Way So now you are in charge. What does that mean? What is the difference between Leadership and Management? Why is it important? What is a good Leadership model to follow... and more. In order for people to believe and trust in you as a leader, they have to have confidence in you. TRUST must be gained. It cannot be issued. Leadership Practices will give you tangible skills that you need to earn trust and instill confidence in others. When you are confident. They are confident and the team becomes stronger. We will introduce you to the Decision Making Process, and most importantly, Problem Analysis, the first step in the Decision Making Process. We will talk about Deliberate planning versus Hasty Planning and how they are different. We will give you the tools to conduct Hasty Planning in your environment. Putting your new skills to use, we will break into groups of 4-5 and conduct a practical exercise using the tools we discussed in the Decision Making Process. Together, we plan a mission and react accordingly as the situation changes. Groups will brief their products at the end of the class. 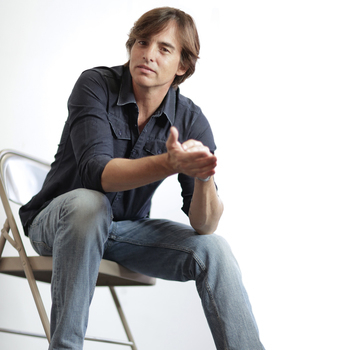 "I just wanted to let you know that we had an AWESOME day with Keni Thomas!! He was absolutely FABULOUS! He tailored his message on leadership and it was exactly what we wanted for our teachers and administrators here in Cherokee. I was amazed at his insight and ability to connect what we do each day as instructional leaders to his experiences on the battlefield. This connection to real life is a model that we want our teachers to emulate in the classroom with our students. I really cannot begin to share with you all of of the positive comments I have received from everyone who attended Keni's session this morning. Please let Keni know what a tremendous job he did in motivating our teachers as we begin a new year. We will definitely have him back!!" Most of us want to make a difference in this world. We want to know at the end of the day, that we matter, that we counted for something. Just like the men and women who wear the uniform of the United States military, the educators and teachers of America need not worry about that. But in a world where you are seldom thanked and your actions go unrecognized, we struggle with our sense of worth. The truth is, it’s easy to lose perspective on just how much we matter to those around us. How do I matter? How will I count? How will I make a difference? My friends, these are easy questions to answer if all you do is lead and lead by example. Because when you set an example for others to follow, those around you take notice. I promise you they do. Whether they tell you or not, they are watching. You lead, they will follow, and the team around you becomes stronger. Thus, you have made a difference and have changed a life. The Army manual on Military Leadership FM-22-100 has a simple definition for leadership, “the process of influencing others to accomplish the mission by providing purpose, direction and motivation.” It is a simple explanation, but exactly how you go about providing the purpose, direction, and motivation necessary to influence others is a topic that can fill thousands of books and millions of pages. I’m certainly not here to give you another lesson on how to be a better leader. I just want you to be one. While the definition may be easy, the hard work of leading is not. You will be called upon on a daily basis to rise above yourself and do what others can not do for you. Your character will be tested. You will feel the burden of leadership that comes with the job of educating a nation. I realize that most of us do not actually hold a position of leadership. But notice at no point does the definition of leadership say anything about, rank, seniority, status, tenure, hierarchy, pay-grade, pecking order, totem poles, or ducks in a row. Remember it’s never the title or the position that defines a great leader. It is the example you set. Oz never gave anything to the Scarecrow he didn’t already have. My time in the military with the Ranger Regiment helped instill in me the daily commitment to leading by example and the absolute value of the person on your left and the person on your right. You are that person. People are counting on you. When you set an example for others to follow, the people around you take notice. Whether they tell you or not, they are watching and they become stronger because of your positivity. And that’s how you make a difference. So please, never sell yourself short and think you are just an “ordinary” individual. “Oh I’m just a school teacher” or “I only work in the front office”. You are anything but ordinary. Out of the billions of people on this planet, there is no one else like you. You are one-of-a-kind. God created you as a unique individual, armed and equipped with special gifts to be used for the greater good of you and those around you. Take those skills, commit yourself to constantly improving them, and go out there and LEAD THE WAY!